As you may have noticed, I tend to get a little wordy on the blog. Not today! This blog post is dedicated to YOU and your own self-reflection. I wholeheartedly believe we all have our answers inside of us if we only have the courage to listen and act. 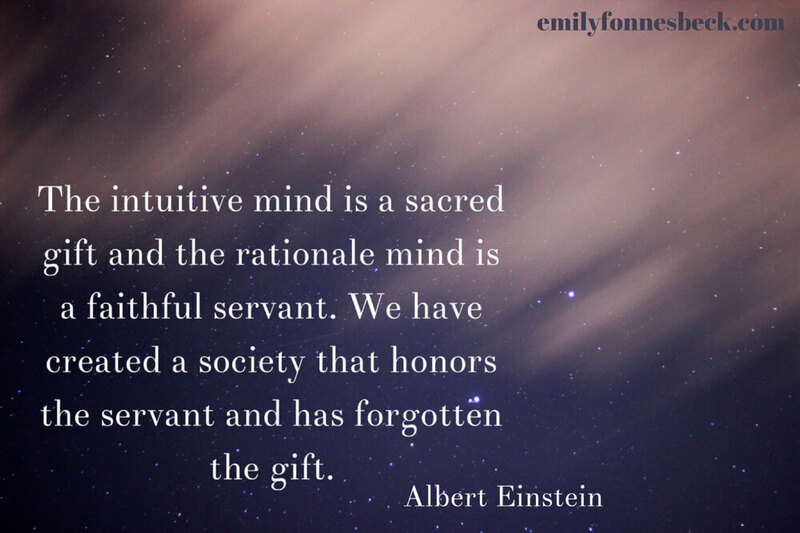 Today I offer 5 questions for you to consider as practice in using your gift of intuition! You can use your wise, healthy mind to make decisions instead of being motivated by fear. 1. During the day, what topics do I find my mind wandering to the most? If it is food or weight, where could my mental energy better be spent? How could I help settle my mind on these topics? 2. How much time do I spend worrying about what other people think of me? Preoccupied with the opinions or actions of others? Making assumptions? Passing judgments or making comparisons? Could this be causing physical symptoms of depression, anxiety, restlessness or unease? 3. What is working for me right now? What do I find value in doing as part of my self-care practices? 4. What isn’t working for me right now? What do I find unnecessary or distracting? 5. If I lived today over and over again, would it lead me to true physical, mental, emotional and spiritual health? Do I allow my best to be good enough and trust the process of gradual change? If you wish, please leave any comments below!